Cambridge English: Key (KET) â€“ Basic level English language exam. 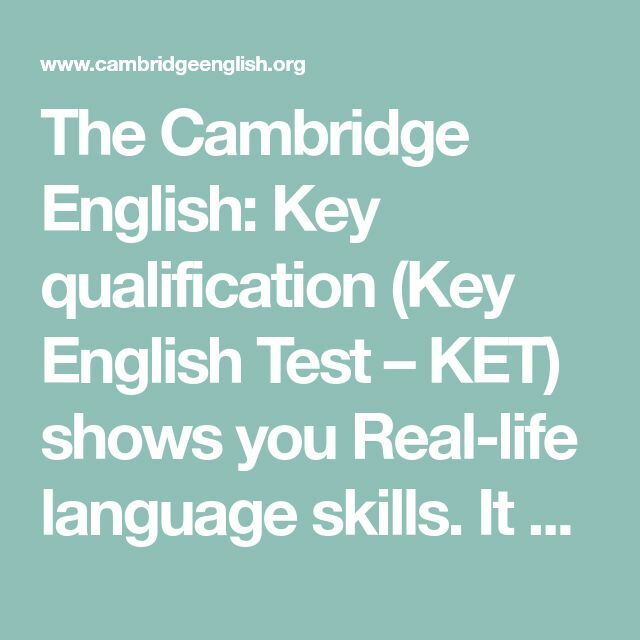 A Cambridge English: Key (KET) qualification is proof of your ability to use English to communicate in simple situations. Mountain Lake. Describe your image. Beach Huts. Describe your image. Ferris Wheel. Describe your image. Palm Trees. Describe your image. City Cycle. Describe your image.